You’ve probably heard that some elements of style emerged from the clothing of soldiers, aristocrats and kings of yesteryear. But the real stories of common items like sport coats, belts, and cowboy boots might surprise you. Read on to discover the weird history and science behind everything you’re wearing. This post was brought to you by Vincero Collective. 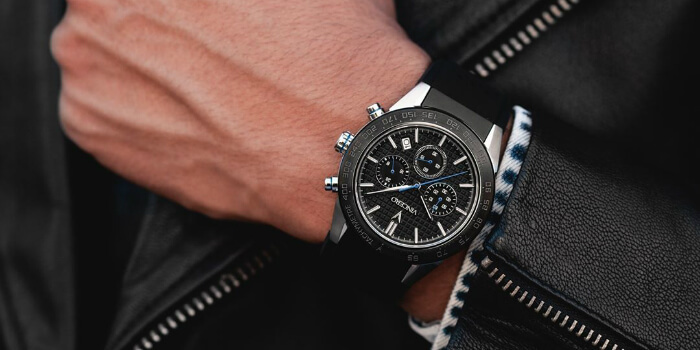 If you want a watch that will step up your style – or a gift any man will LOVE – Vincero offers stylish men’s watches for a fraction of the price of designer names. The watch you wear sends a message. These affordable luxury watches send the message of bold and refined. Click here to discover Vincero and use code RMRS at checkout for a great discount. 1. King Edward VII (‘Bertie’), son of Queen Victoria, was so heavy that he couldn’t fasten the bottom button on his vest. His subjects took it as a fashion statement and followed his lead. That’s why most men’s suits, sports jackets, and vests today are not designed to button the bottom button. 2. English tailors call buttons that are never intended to be fastened ‘idle’ buttons. 3. The male business suit has been virtually unchanged for 70 years. 4. Sports jackets are called sports jackets because they were first worn for WATCHING sports like horse racing. 5. That’s also why spectator shoes are called spectator shoes. 6. TV and movie costumers often have characters they want to depict as weird wearing two clashing patterns. 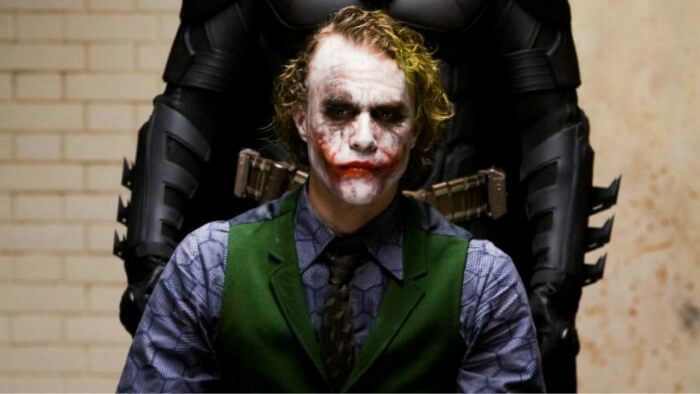 Example: this shirt and tie combo on Heath Ledger’s Joker. 8. Reason for the stereotype that men can’t distinguish colors? 8 to 12% of men are colorblind, but only 0.5% of women. 9. The word ‘match’ comes from the Old English for ‘mate’ or ‘companion’. Be more punctual AND more attractive… click here to get this stunning Bellwether from Vincero. 12. The modern fashion for belts dates from the summer of 1893, when it was too hot for suspenders. 13. The Puritan founding fathers believed buttons were sinful (because clothing had to be very plain to avoid vanity). 14. Cowboy boots and cowboy belt buckles were invented by the movies. 15. Jacket sleeve buttons were supposedly ordered sewn on his troops’ uniforms by Frederick the Great of Prussia in the mid-1700s when he watched a sentry wipe his nose on the sleeve. The buttons prevented this uncouth act. 16. Hacking pockets (angled flap pockets) were invented for easy access while riding a horse – from ‘hack’ meaning a tired old horse! 17. The fashion for blazers was started by the captain of the HMS Blazer to smarten up his scruffy crew when Queen Victoria was about to inspect the ship. She was so impressed she ordered all her sailors to be dressed in similar uniform. Click here to learn how to tell a blazer from a sports jacket or a suit jacket. 18. Vibram soles (durable soles with extra grip) were invented by Vitale Bramani after 6 of his climbing crew froze to death in the Alps. 19. Doc Martens were invented by German Doctor Klaus Maertens [sounds like Martens] in 1945 when he couldn’t find comfortable shoes while recovering from a skiing injury. 20. The technical term for the end of a shoelace is an aglet. 21. Most people have one foot bigger than the other. You should buy shoes to fit your bigger foot. 22. Wristwatches were originally for ladies only – men carried pocket watches. Click here to grab the NEW Rogue from Vincero. Definitely for men. 23. Wellington boots were invented in 1817 by the Duke of Wellington, who wanted a boot that could go from battle to evening wear. They were originally made of leather and so smart even Beau Brummell wore them. 24. Wellington boots later inspired the cowboy boot. 25. 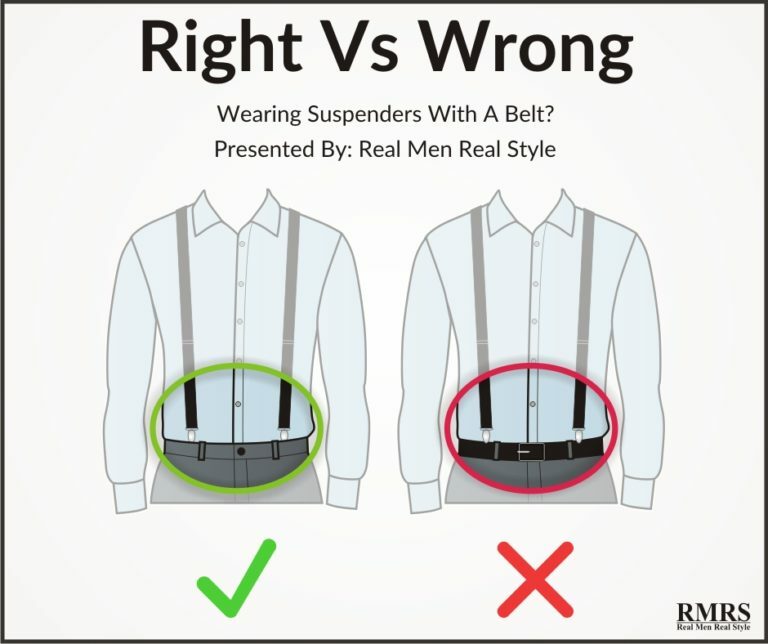 The British call suspenders ‘braces’ and use ‘suspenders’ to mean women’s garters! 26. Benjamin Franklin started the fashion for suspenders around 1736 when he made them part of the uniform of America’s first volunteer fire department. 27. Early suspenders were very ornate, often embroidered by a sweetheart. Debussy’s suspenders were floral patterned, Napoleon’s had bumblebees and Queen Victoria gave Disraeli a pair with foxhunting scenes. Even Franklin D. Roosevelt had a pair bearing flags and eagles. 28. Another word for suspenders was ‘galluses’, probably from ‘gallows’… which is also a method of suspending things. 29. Men’s garments always have the buttons on the right side and on the front. Women’s are on the left and sometimes on the back. This is because women of fashion used to be dressed by servants. As most people are right-handed it was easier to have the buttons this way round. 30. Buttons were invented 3,500 years before buttonholes (they originally fastened with loops). Hope you learned something new, gents! 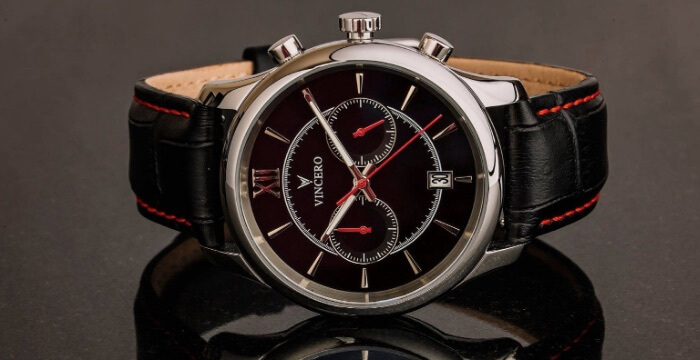 Don’t forget to go check out Vincero’s bold luxury watches. They’re an amazing deal, with a 24-month warranty and free worldwide shipping. What’s more, they’re eye-catching, attractive and affordable. Vincero watches have a variety of beautiful color combinations, with interchangeable straps in high-quality Italian leather. Click here to check out Vincero and use code RMRS at checkout for a great discount. The post 25 Random Fashion Facts You’ve NEVER Heard appeared first on Real Men Real Style.